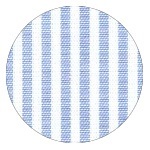 Salento stripe, cotton polyester dual blend; Machine washable. 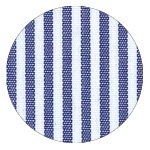 Short Sleeves with gathered detail; Centre front button closure. To find out more about the ZM622S.341 - S.S Shirt with Panel please Email or Call +61 1300 700 056.